"Extrude-A-Trim has been a valuable sponsor to our program over the years. We use their aluminum extensively throughout the robots we build. Having a good selection of material on hand really helps with our prototyping process as well." Every year, Extrude-A-Trim provides aluminum extrusions to Crescent School in Toronto, Ontario to build a robot for competition. 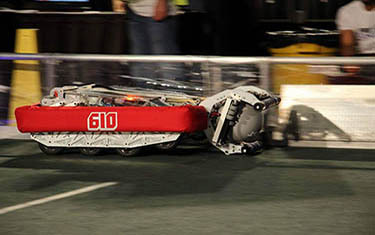 Their program, Crescent Robotics Team 610, strives to provide the best in Science, Technology, Engineering and Math education for students. 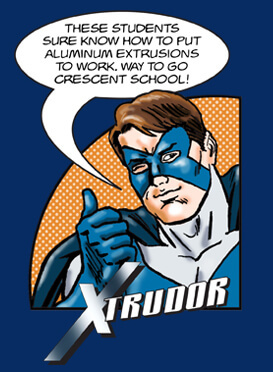 The program was founded in 2000 and Extrude-A-Trim has been a proud supporter since 2008. 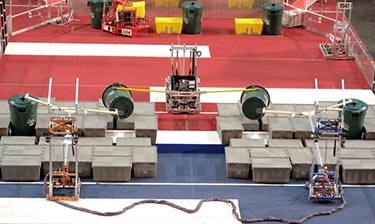 Each year a new robot is built to the competition’s design standards and named by the team. Check out the team’s recent history below. 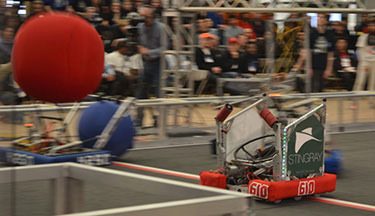 The Sphinx was a FIRST Robotics Competition Championship Finalist in 2017. 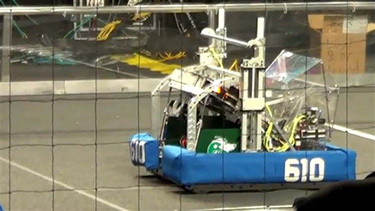 In 2016, the Scorpion was the Waterloo Regional Winner. 2015 saw the Skyhawk become the Greater Toronto Regional Winner. In 2014, the Stingray was the North Bay Regional Winner. 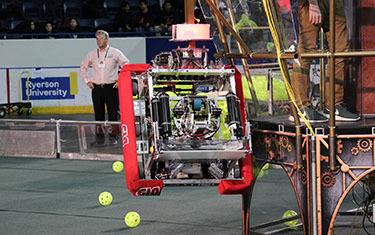 Taz was the FIRST Robotics Competition Championship Winner in 2013. Do you have a super project completed using our extrusions? If so, send Extrude-A-Trim a picture, along with project information that you'd like posted (name, company, web link) to xtrudor@extrude-a-trim.com.